The PADI Advanced Course with Merlin Divers is a course that takes 2 days of scuba diving including one dive at the King Cruiser wreck. The PADI Advanced Open Water Diver Course is one of the best courses and it consists of 5 dives, 2 mandatory dives; Deep dive and Underwater Navigation and 3 dives can be chosen by the student. The first day diving is on the local dive sites from Kamala beach. Here the Underwater Navigation Dive is ussually done and one more of the elective dives on a half-day trip. 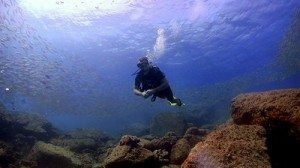 Stdents divers are encouraged to choose dives that will improve their diving. Peak Performance Buoyancy is a very popular choice. Koh Weo is ideal for these dives as it is relatively shallow and easy diving. The second day of the PADI Advanced Course in the more exiting day with 3 dives. A day trip to the best Phuket dive sites: Koh Doc Mai, King Cruiser and Shark Point. The first dive is normally at Koh Doc Mai (Flower Island) and will be the Deep dive. This is down to a maximum depth of 30m (100ft). Koh Doc Mai is a wall dive which makes it ideal for deep diving. Asthe second dive of the day follows the King Cruiser wreck. Most student divers choose to do a wreck dive as part of their Advanced Course. King Cruiser is a large wreck, which sank in 1997 and is a fantastic dive and a great introduction to wreck diving. The last dive of the day is then Shark Point. This is one of the most beautiful dive site with a number of underwater pinnacles. 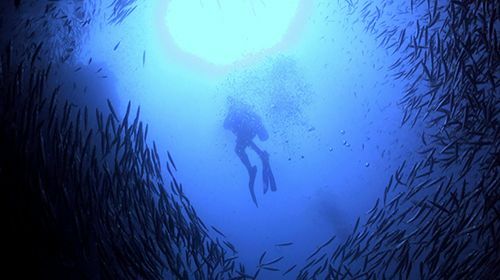 Popular choices for the last dive are the Digital Underwater Photography, Multilevel or Computer Dive. The PADI Advanced Course takes only 2 days with no classroom or swimming pool required. All the theory can be done by reading the manual and briefings on the boat. For more information on the PADI Advanced Diver Course contact Merlin Divers.